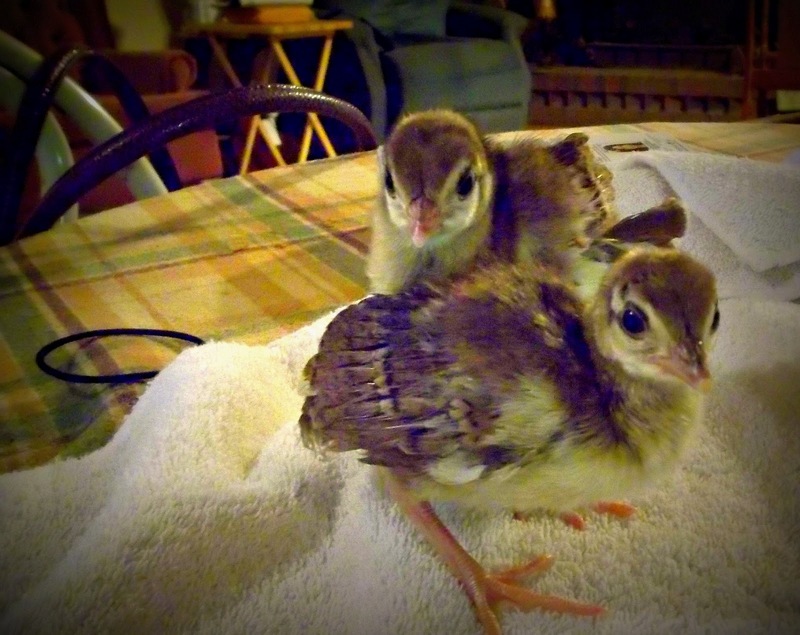 Remember back in June when I knocked over the incubator full of guinea fowl and peafowl eggs (If you don’t, read Uh-Oh and Woohoo all in one day.)? Well, none of the peafowl eggs made it, and only two guinea eggs were still developing at lockdown. 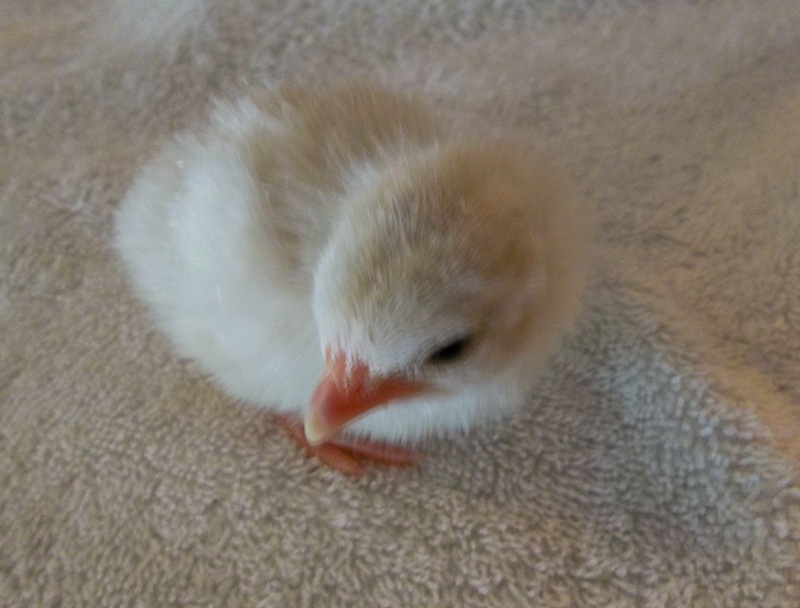 One of those did hatch and we ended up with the prettiest little keet to add to the flock. The camera made the keet look a little tan, but I’m thinking the color may be Porcelain. All wasn’t completely lost with the peafowl because luckily I had placed a few eggs under a broody Pekin duck around the same time. That’s right, a Pekin duck. . . supposedly one of the least broodiest of ducks that there are. Well, obviously, our Pekins have never been told that because it’s been the year of the Pekins for us with at least four deciding to set on nests so far. Anyways, Juliana the duck was a fairly good broody for an unbroody breed and managed to stay on her nest for almost the full 28 days. But a few days before they were due to hatch, she apparently decided she’d had enough and decided to spend her time with the other ducks. I don’t blame her, who’d want to be stuck on a nest in this heat tending to eggs that aren’t yours when you could be lounging in a pool and flirting with the drakes. Not a problem, since the Brinsea 20 only had the two guinea eggs in it that were on lockdown and the pea eggs were supposed to be going on lockdown, too, a couple of days later. So, I grabbed them up after seeing that Juliana wasn’t going to return to her duties and stuck them in with the guinea eggs. And lo and behold, all four peafowl eggs hatched last week. The first two hatched (a pied and a blue) on Wednesday, while the other two decided to be stragglers and joined the world two days later. The two stragglers pictured today at 4 days old. You know, Silkies are supposed to be great at incubating peafowl eggs, but I think Juliana has them almost beat. . . well, at least until she’d decided she’d done enough work and left them to me. Previous post: Not a creature was stirring. . .